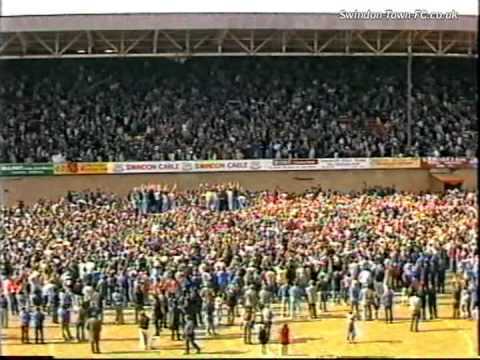 On the final day of the 1985/86 season, with Swindon already assured of the Fourth Division championship, they went into the game against Crewe, knowing that victory would result in a League record for the most number of points gained in a season. 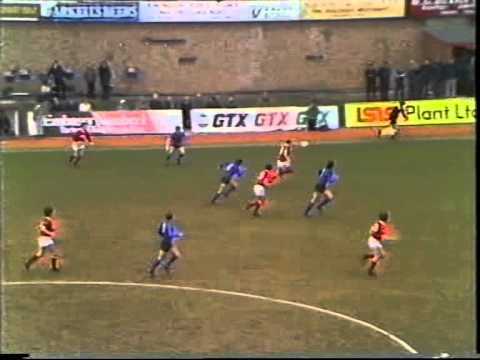 In a tense match, Peter Coyne finally scored the only goal of the game in the 70th minute - the Town breaking the record with 102 points, and after a huge pitch invasion, skipper Colin Calderwood was handed the championship trophy. 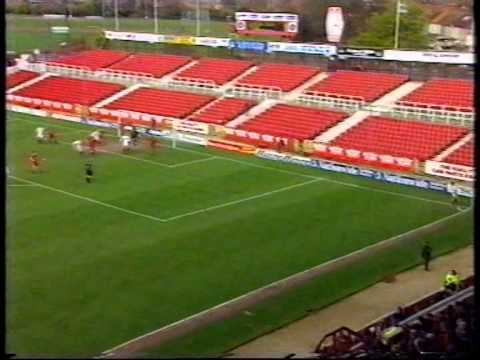 Ten years later, with both sides going for promotion this time from the Second Division, Swindon managed to do the double over the Railwaymen - a late, twice-taken penalty from Steve Finney handing the Town the points at the County Ground in October 1995, before a superb performance at Gresty Road resulted in a 2-0 win the following April, the goals coming from Kevin Horlock and David Preece. 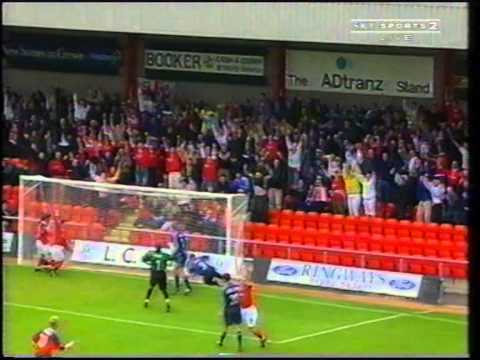 David Hockaday scores 'the sweetest goal you'd ever wish to see' (?!?!? 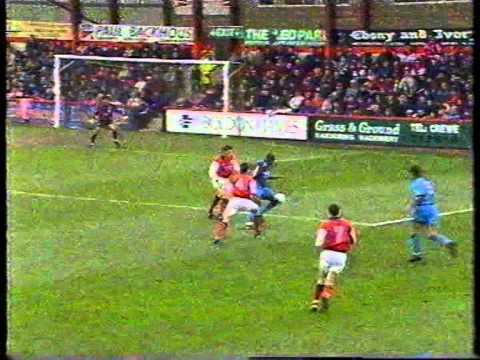 ), as the Town beat Crewe, despite Alan Mayes' saved penalty - and a shocking miss from Crewe's Phil Williams. 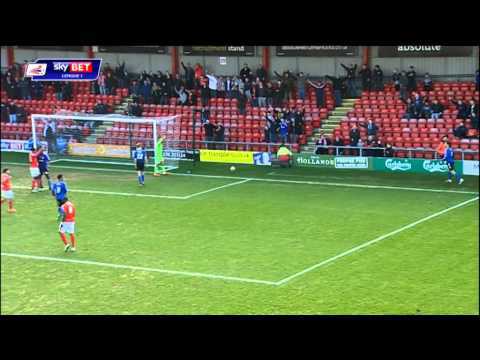 After Town fans help to clear the pitch of snow, Dave Hockaday's free kick dislodges more from the crossbar - but the nine game winning streak at home comes to an end by a superb strike from John Crabbe - Peter Coyne equalising two minutes later. The Town beat Crewe by a single goal, to reach 102 points - then a league record. 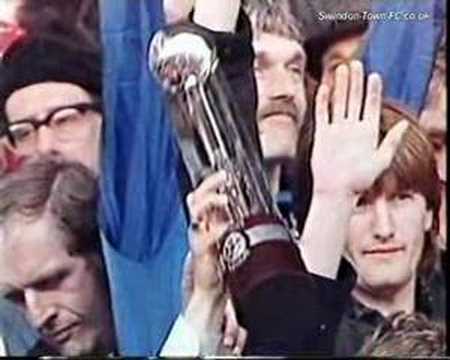 Again, the TV ban prevents any match footage - but HTV are allowed to show the presentation of the Division Four championship trophy. 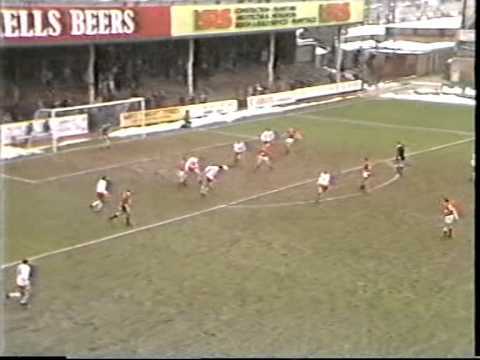 A Crewe side that includes future Town players Ashley Westwood and Gareth Whalley - plus future Premiership stars Danny Murphy, Robbie Savage and Neil Lennon - travel to the County Ground for a top-of-the-table clash, and they look to have grabbed a point when Steve Garvey equalises with just twelve minutes remaining. The Town give a superb performance to see off yet another promotion rival - this time, third placed Crewe are beaten 2-0 on their own patch, leaving Swindon four points clear of second place, eleven points clear of third, and with games in hand on both. New French signing Philippe Cuervo is man-of-the-match - as goals at the end of each half, from Wayne Allison and a Steve Finney penalty, see off Crewe. 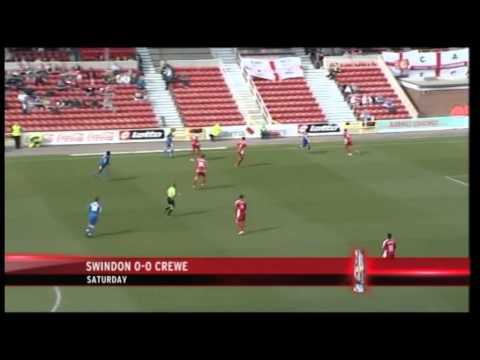 Swindon give another poor performance in a televised game - this time a 2-0 defeat at Crewe. 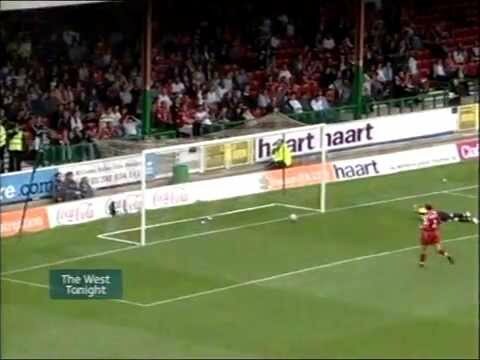 Two goals by Iffy Onuora gives Swindon their first away win of the season at Gresty Road. 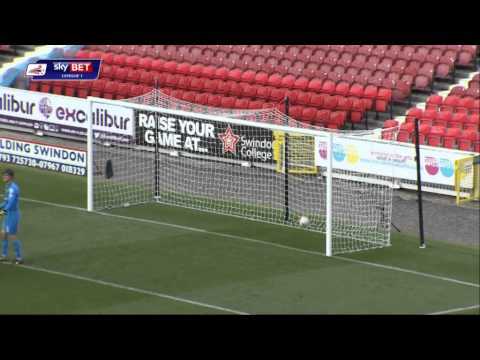 Swindon slip to a home defeat against bottom-of-the-table Crewe. Shaun Smith's late penalty condemns Town to defeat at Gresty Road. 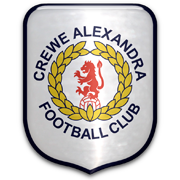 After seven league games without defeat, Crewe put an end to the Town's good run. 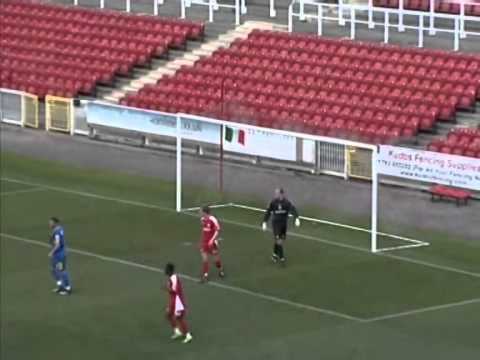 Stefani Miglioranzi's goal gives Swindon a surprise victory at second placed Crewe. 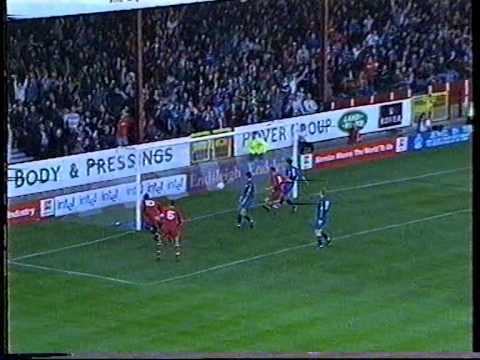 Steve Schumacher's excellent strike nets Crewe a point at the County Ground. Billy Paynter is sent off, as the Town draw nil-nil against Crewe. 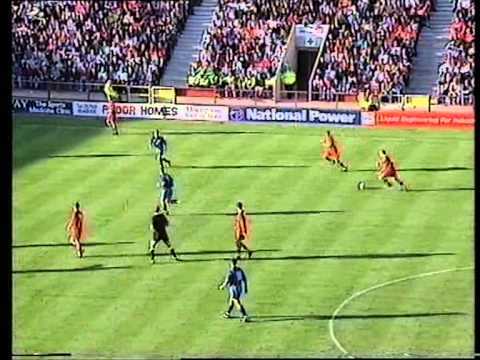 Billy Paynter is sent off at Crewe for the second season on trot - Swindon going down 1-0. Both sides miss opportunities to win the game - the point not much use to either at the bottom of the table.